The week races along. We're once again at Thursday, the penultimate day of the work week. If you're lucky, you've made some sort of plans for the weekend, possibly involving gaming. I'm not lucky. I've got nothing planned yet... I dunno. Maybe I'll bake something else. 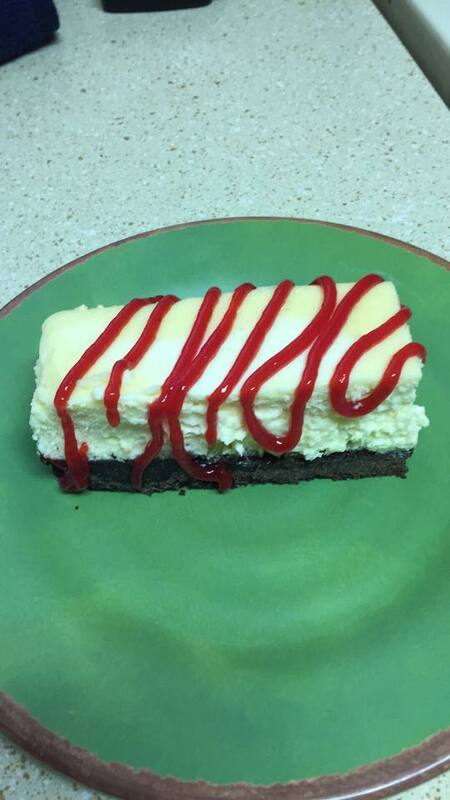 The cheesecake went over rather well, after all. ... Maybe lemon custard with a lime mousse on top... I dunno. I've still got some time to think about it. Meanwhile, let's talk about making your gaming tables look their best. 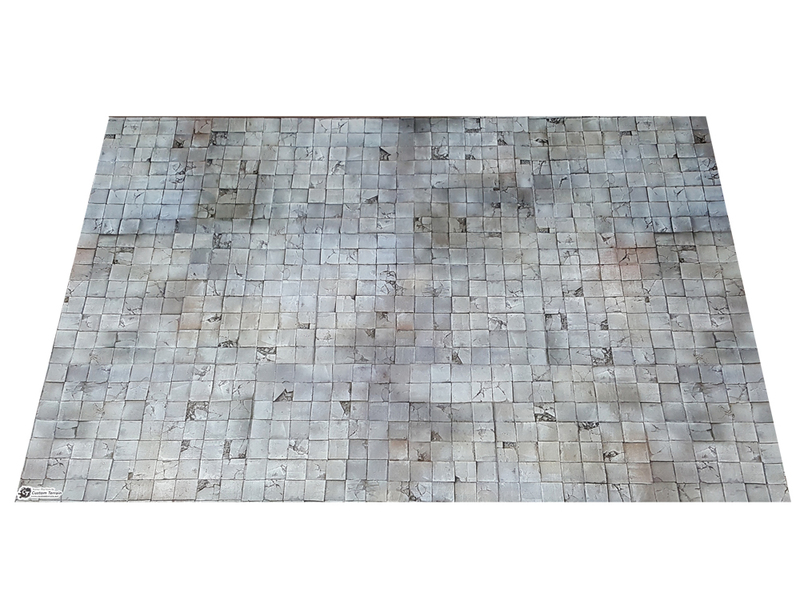 Today in the Terrain Corner we have: New RPG Gaming Mats by Custom Terrain and Badlands Gaming Mat Available From Pwork Wargame. 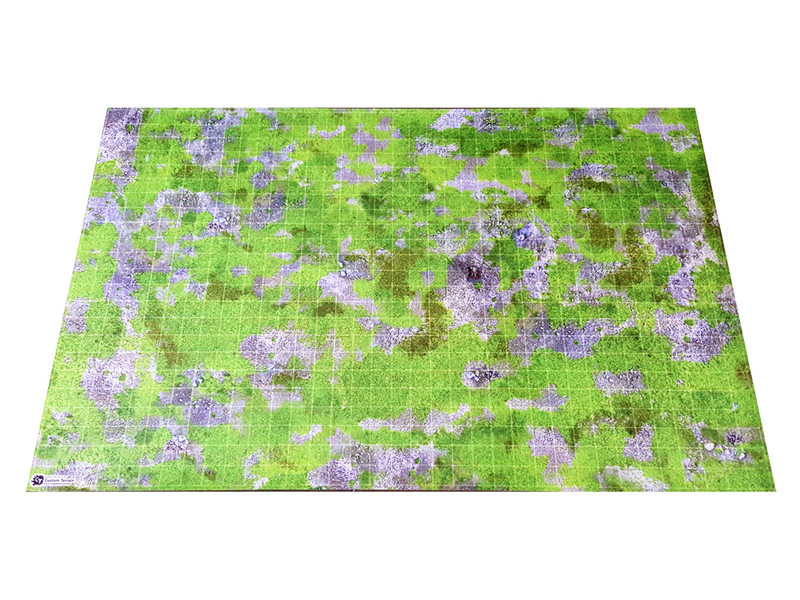 Custom Terrain has recently released a new series of versatile 2'x3' printed gaming mats, perfect for roleplaying games like Dungeons & Dragons or Pathfinder. The mats are printed onto premium vinyl that can be drawn on and erased, and feature a 1 inch x 1 inch grid. The 2'x3' mats are sized to fit conveniently on your gaming table and not get in the way amongst your rulebooks, character sheets, dice and drinks - but still have plenty of area to play out your adventures! All of the imagery is photographed from real life hand-made terrain. The textures are realistic, natural, and will immerse you in the game, allowing you to set the scene and atmosphere for your players. Use water soluble markers (such as coloured felt-tip markers or highlighters) to easily draw rooms, walls, obstacles, objectives, and areas of effect directly onto your mat. 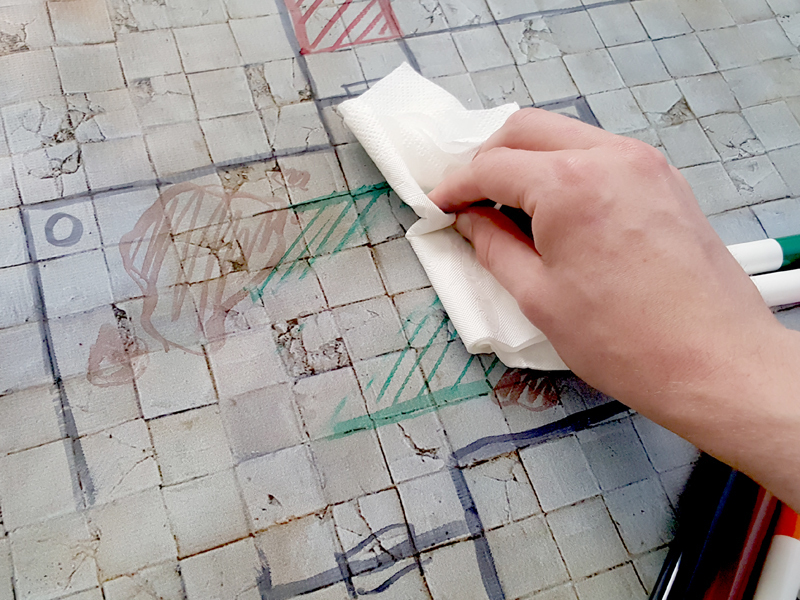 When your players move on to the next area you can simply rub it out with a soft damp cloth or paper towel. The first release includes a Dungeon Tiles mat, a Grassy mat, Winter mat, Blue Caves mat, and an Autumn Ruins mat, with more designs to follow soon, including a range of modular mats. 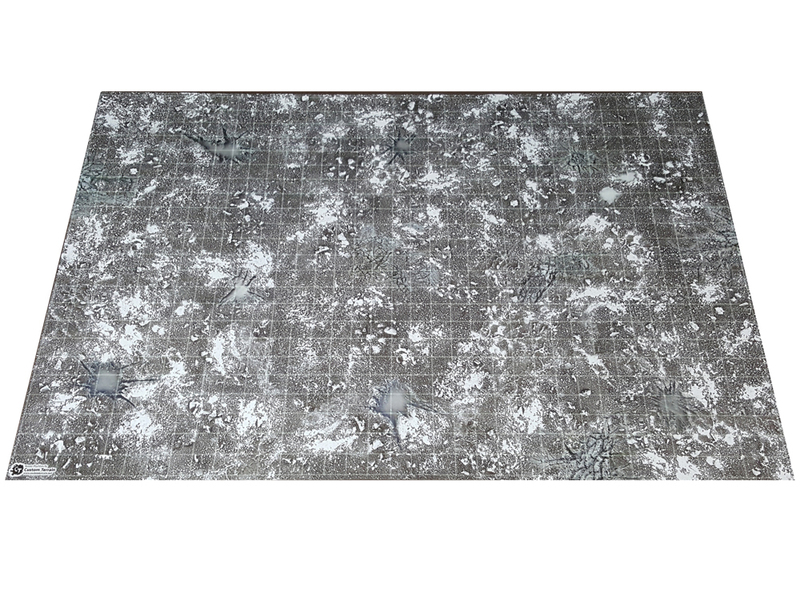 The Gaming Mat Badlands is a PVC or CLOTH made rollable terrain mat, ideal for wargames, in size 4x6’ (122x183cm), 4x4’ (122x122cm), 3x3’ (92x92cm), 3x6' (92x183cm), representing the scenery of a bare plain of reddish earth, with the ground cracked by the fury of the elements. 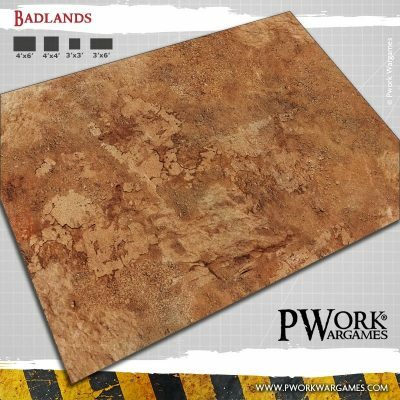 The Gaming Mat Badlands offers the possibility of setting battles between armies of miniatures among large open spaces, dusty pahts and rocks eroded by wind. The mat is a perfect fantasy setting for deploying vast armies, and also ideal for historical game settings or science-fiction fights! Are you ready to battle? You can choose Badlands printed on high quality PVC or on synthetic Cloth, its awesome graphic grants a wonderful and great-looking setting for your favourite wargames.